Come discover Escanaba- Michigan- a small town located just minutes away from the new Delta County Historical Society of downtown Escanaba- Michigan. Country Hearth Inn Escanaba is ideally located a few miles away from Escanaba Marina Harbor Master. Top attractions in the area include Wise Amusements- Catherine Bonifas Civic Center- and Family Fun Park Inc. Enjoy a day of history at the restored Sand Point Lighthouse- built in 1867- one of the oldest and most historic buildings in the area. Country Hearth Inn Escanaba offers many amenities such as a picnic area- on-site BBQ grills- on-site guest laundry facility- and newsstand in lobby. Start your work or sightseeing day in fine form with free daily continental breakfast or a free cup of coffee in our lobby. Maintain your exercise routine while on the road in our on-site fitness center or enjoy a refreshing dip in our on-site jacuzzi. Whether you*re traveling for business or pleasure- take advantage of our business center equipped with computer or spacious meeting facility. Stay up to speed with our free Wi-Fi available throughout the property. Pets are welcome- restrictions and charges apply. Each of our guest rooms feature home luxuries such as free Wi-Fi- microwave- mini-fridge- coffeemaker- hairdryer- 32 inch flat panel cable TV- HBO- desk with lamp- and alarm clock. Our suites include extra amenities such as kitchenette- sofa bed- and separate sleeping area. Country Hearth Inn Escanaba is your best choice within the banana belt of Michigan*s Upper Peninsula- and is one the safest natural harbors in the upper Great Lakes. 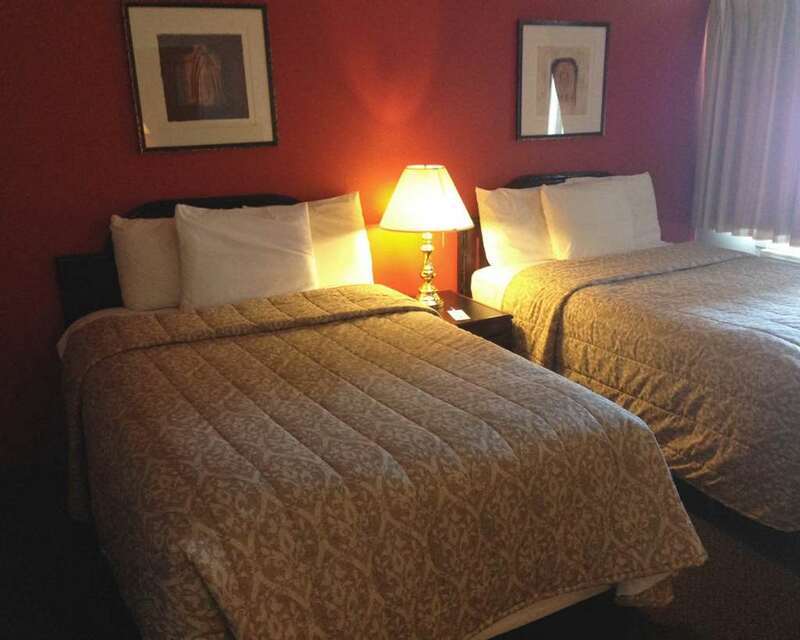 We offer ideal accommodations and location whether you are in town for entertainment- business- or sightseeing. At Country Hearth Inn Escanaba- our goal is to provide our guests a great experience- not just a place to stay. At Country Hearth Inn Escanaba- Expect More. Get More. The Family Inn: 0.2 mi. Hudson*s Classic Grill: 2.7 mi. Jade Garden Restaurant: 2.7 mi. El Patron Mexican Restaurant: 2.9 mi. D and M Subs: 2.9 mi. Hong Kong Buffet: 2.9 mi. Pacinos Food and Spirits: 3.3 mi. Discover Escanaba- Michigan and all it has to offer- whether staying for business- pleasure- or just passing through at Country Hearth Inn Escanaba. Ideally situated only a few miles from Michigan State University and downtown Escanaba- our hotel is conveniently located off US Highway 41 on North Lincoln Road. Our address is 2301 North Lincoln Road- Escanaba- MI 49829.